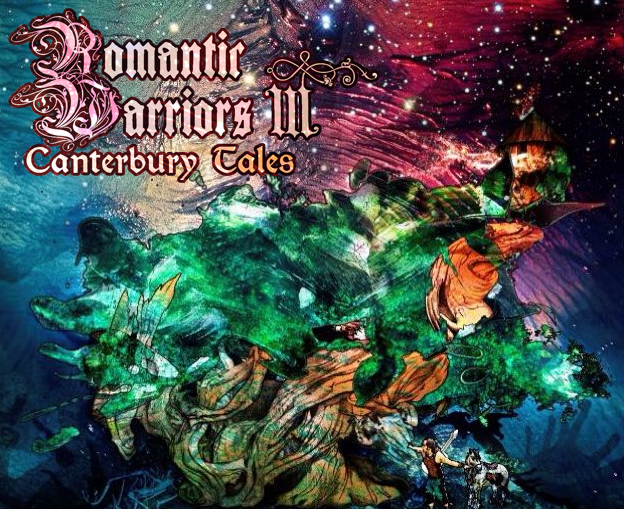 As wonderfully illustrated by Adele Schmidt and Jose Zegarra Holder’s superb documentary Romantic Warriors III – Canterbury Tales, the Canterbury scene expanded well beyond the borders of Great Britain, spawning a number of excellent bands in other countries. One of those outfits was The Muffins, a four-piece with an idiosyncratic configuration (drums, bass and double woodwinds) originally established in 1973 in the Maryland/Washington DC area, and reformed in the late Nineties after a lengthy hiatus. Though drummer Paul Sears’ move to Arizona in 2010 has curtailed the band’s live appearances, their recording activity has not ground to a halt, with two albums released in the past five years. The band members have also been contributing to several interesting projects in the field of progressive music. Named after The Muffins’ 1978 debut album – one of the essential Canterbury-related releases – Manna/Mirage is the newest project by founding member Dave Newhouse (one of the band’s two woodwind players). Not surprisingly, fellow Muffins Billy Swann and Paul Sears are also on board, as well as Newhouse’s son George, guitarist Mark Stanley (of Chainsaw Jazz and Thee Maximalists), and newest recruit, Steve Pastena, on French horn. The ensemble’s debut, released in the autumn of 2015, bears the title of Blue Dogs – a title inspired by a painting by artist and RIO/Canterbury fan Gonzalo Fuentes Riquelme (aka Guerrilla Graphics), which graces the CD cover. The album was mixed and produced by none other than Mike Potter of Orion Studios – probably the most important venue for progressive music in the US, and the setting of The Muffins’ most recent performance to date, in May 2015. As related in detail on Manna/Mirage’s website, Blue Dogs was originally meant as half of a big- band album by The Muffins. Clocking in at a mere 35 minutes, the album is such a rewarding listen that it almost feels like the appetizer before a full meal – jam-packed with buoyant horns and woodwinds, energetic yet stylish drumming, multilayered keyboards and keen-edged guitar. While the imprint of Newhouse’s mother band is clearly stamped all over it, Blue Dogs goes one step further, bearing witness to the artist’s love of classic jazz, as well as the Canterbury sound’s trademark blend of elegance and whimsy. In the aptly-titled opening track “Canterbury Bells”, the titular bells are provided by a gently lilting glockenspiel, while Newhouse’s jaunty keyboards and woodwinds flesh out the sound. Dedicated to Duke Ellington (whose recorded voice can be heard at the end), the jazzy “Duke Street” starts out in an upbeat mood, then turns sparser and looser, the instruments’ staggered interplay of the especially riveting. Newhouse’s expressive woodwinds take centre stage in the exhilarating “Shwang Time”, where the big-band origin of the music is clearly on display. In contrast, “Lost in a Photograph” (whose title hints at nostalgia for things past) provides a foil for the album’s more dynamic compositions, with its stately, almost melancholy mood, while closing track “Rovian Cue” starts out brightly, and then mellows out, the piano and the woodwinds complementing each other. That leaves Blue Dogs’ two most distinctive tracks, which increase the interest value of an already outstanding album. At over 7 minutes, “Muffin Man Redux” is propelled by Paul Sears’ pyrotechnic drumming, while leisurely bass and guitar mesh together to complement the spirited call of the saxes. A citation of the gospel classic “When the Saints Go Marching In” leads the way to a fuzzed-organ passage in true Steward-Ratledge style, followed by an amusing rendition of the nursery rhyme that lends its title to the song. On the other hand, after a slow, sedate beginning, “Blind Eye” veers into Avant/Zeuhl territory, with its many tempo changes, meandering guitar and blaring saxes. Although Blue Dogs is obviously a must-listen for any self-respecting fan of the Canterbury scene, the album will provide 35 minutes of bliss to everyone who loves great music. Newhouse’s love of his craft and his knowledge of different genres are all brought to bear in what is definitely one of the top releases of 2015 – though, unfortunately, not one that will have received as much exposure as other (and, in my view, inferior) albums. I hope this review will in some way redress the situation, or at least create some curiosity. Those who appreciate the album will be glad to know that Manna/Mirage’s follow-up effort has already been composed and halfway recorded, and will see the light in 2017. In the meantime, what about some live shows? Located in Kent, the south-eastern county nicknamed “Garden of England” for its bucolic beauty, Canterbury is a city of barely over 50,000 people, dominated (not just in a physical sense) by the sprawling mass of its stunning Gothic cathedral. For all its rich history, it is easy to imagine how stifling such a place might have felt to its younger denizens in the late Sixties. Its very Englishness, in some ways, explains many of the distinctive features of the musical movement that originated there in those heady years. Even within a quintessentially niche context such as progressive rock, the Canterbury scene has acquired a cult status that transcends its unassuming beginnings. With often mind-boggling connections and ramifications that would make the task of drawing a family tree rather daunting, this “movement” – born, in a polite, understated English way, from the early musical pursuits of a handful of middle-class teenagers – became extremely influential, though never achieving any of the commercial success that was awarded (albeit briefly) to some of the original prog bands. Well over two years in the making, and nearly two hours long, the third chapter in Adele Schmidt and José Zegarra Holder’s Romantic Warriors saga is at the same time similar and different from its predecessors. Though by far the most technically polished of the three documentaries – its pristine photography providing a perfect foil to the grainy footage from the Seventies – it is also the one with the strongest emotional impact. Meticulously researched, yet somewhat hampered by the unwillingness of some of the key protagonists of the scene to release material, or even just show up, the film occasionally feels like a story told from a third-person point of view. This, however, proves to be a strength rather than a weakness, lending an almost mythical quality to the narration. In spite of some glaring defections, many of the exponents of the early Canterbury scene agreed to contribute to the film, providing their unique insights on the birth and development of the movement. Their contributions are supported by those of three modern-day experts: Aymeric Leroy, who maintains the most complete and informative website on the Canterbury scene; Bruce Gallanter of Downtown Music Gallery, one of New York City’s few surviving independent music stores; and Leonardo Pavkovic, head of Moonjune Records. The story unfolds in chronological order, its very dense content sometimes hard to follow even for those who are familiar with the ins and outs of the scene – lively and colourful, yet tinged with an inescapable feeling of sadness. Because of the unavailability of a lot of the material recorded in those years, the music often takes a back seat: in fact, Canterbury Tales is the first film in the series to have a score written expressly by an outsider to the movement itself – the very talented, Maryland-based multi-instrumentalist/composer Dan Britton, who appeared in the first Romantic Warriors. On account of this and other factors, the film’s focus on people rather than music comes across even more strongly than in the previous two episodes of this “progressive music saga”. If I had to sum up Canterbury Tales in few words, I would say that it is, first and foremost, about absence and loss. The story of Soft Machine – probably the best-known and most influential of the Canterbury acts – is mostly told by people who (with the sole exception of Daevid Allen) were not involved in the original incarnation of the band, though the availability of plentiful footage makes the extremely intricate tale come alive. Some of the protagonists of the scene seem to view their connection to Canterbury more like an embarrassment than a badge of honour: iconic keyboardist Dave Stewart’s image is hard to discern even in photo stills, while Robert Wyatt’s 1995 interview makes it quite clear that he is not interested in revisiting the past (“I am not a museum”). In most other cases, however, the absence is a direct consequence of death: in fact, over the years the Canterbury scene has lost a larger share of its protagonists than other prog subgenres. The slight, pixie-like figure of Daevid Allen – with his lined face and uncannily young eyes and smile – weaves in and out of the narration, his untimely passing (occurred while the film was in post-production) reinforcing its melancholy, elegiac mood. 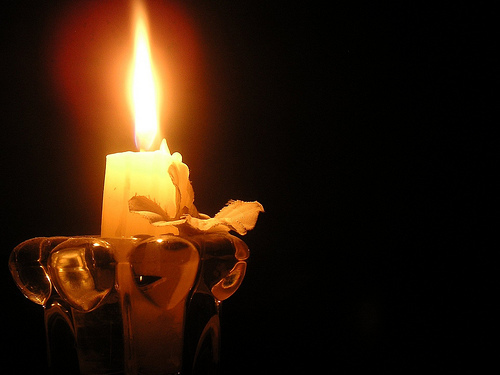 In the whirlwind of images, the headline of Charlie Hebdo – the French satirical magazine that gained notoriety after the tragic events of a few months ago – flashes by a couple of times, perhaps easily missed, but adding to the pervasive sense of loss. 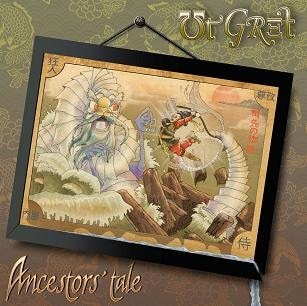 On the other hand, Canterbury’s trademark sense of humour and whimsy – a blend of quintessentially English nonsense, slightly risqué puns and highbrow suggestions – is suitably emphasized, in stark contrast with the stereotyped idea of progressive rock as an overly serious genre. Those characteristics are embodied by some of the musicians who appear in the film: Richard Sinclair’s gently eccentric, almost luminous presence, Mont Campbell’s charismatic allure and self-deprecating wit, Daevid Allen’s endearing quirkiness stand out, while others come across as more serious, but as a whole all the original protagonists give the impression of being content with their life, and still very much involved in artistic creation. One of the most appealing features of Canterbury Tales lies in its “travelogue” aspect, apparently at odds with the narrow geographical focus of the original scene. Alongside Canterbury Cathedral’s majestic towers and pinnacles, the immaculately beautiful images of different locales – London’s Tower Bridge by night, Paris’ stately boulevards, the silver-grey North Sea shore, the peaceful greenery of the Apulian countryside, the bustling streets of Barcelona, the bright lights of the theatre district in Kyoto – illustrate the wide-ranging sweep of a movement that over the years managed to spread its influence well beyond the borders of its humble beginnings. Accordingly, the activity of non-English Canterbury bands such as Moving Gelatine Plates, The Muffins and Supersister is given ample recognition. While watching Canterbury Tales, it is often hard not to feel that – unlike the first two chapters of the saga – the film’s main focus is on the past rather than the present. Daevid Allen’s enthusiastic endorsement of Gong’s newest member, maverick guitarist/composer Kavus Torabi, contrasts with the film’s final shot of David Sinclair’s deeply moving interpretation of his own signature piece, “Nine Feet Underground”, while the camera lingers over hands that, in spite of the evident marks of age, are as nimble as ever over the keys. Even if enough space is granted to those modern bands and artists who have picked up the baton (Forgas Band Phenomena, Planeta Imaginario, The Wrong Object and Syd Arthur), it is not enough to dispel the looming presence of the past, and the underlying poignancy so superbly conveyed by the opening and closing shots of Allen’s solitary figure on the sea shore. The dedication of the film to Zegarra’s mother and all the musicians who have passed away compounds the impression that Canterbury Tales is, in many ways, an epitaph. Even if someone may find its relative lack of original music disappointing, Canterbury Tales is a beautiful, deeply touching (though not depressing) piece of filmmaking, a warm-hearted tribute to those protagonists of the scene who are no longer with us. While the film’s subdued mood reflects the impermanence of things, the lasting legacy of the music created by that handful of young people from a provincial corner of England is given its due, and the unavoidable sadness implied in Daevid Allen’s fateful parting words is somewhat mitigated. Highly recommended to every self-respecting progressive rock fan, Canterbury Tales is also an encouragement to delve deep into the treasure trove of this highly idiosyncratic subgenre’s rich output.